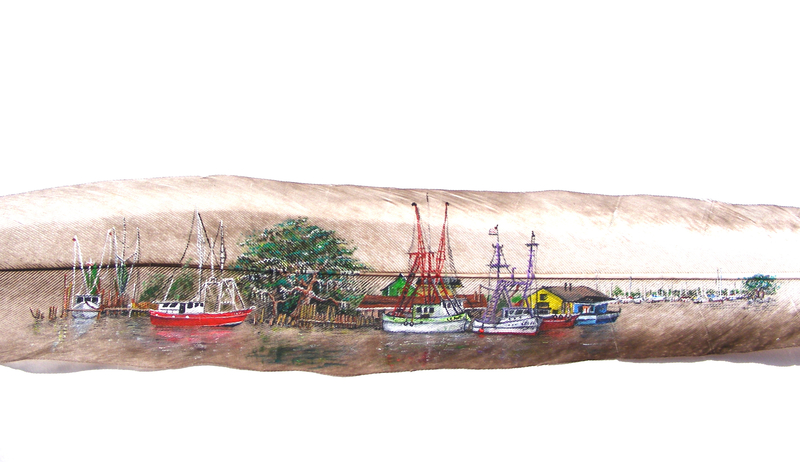 Mississippi Shrimp Boats. Acrylic on peacock tail feather. Gobi no Kitsune. 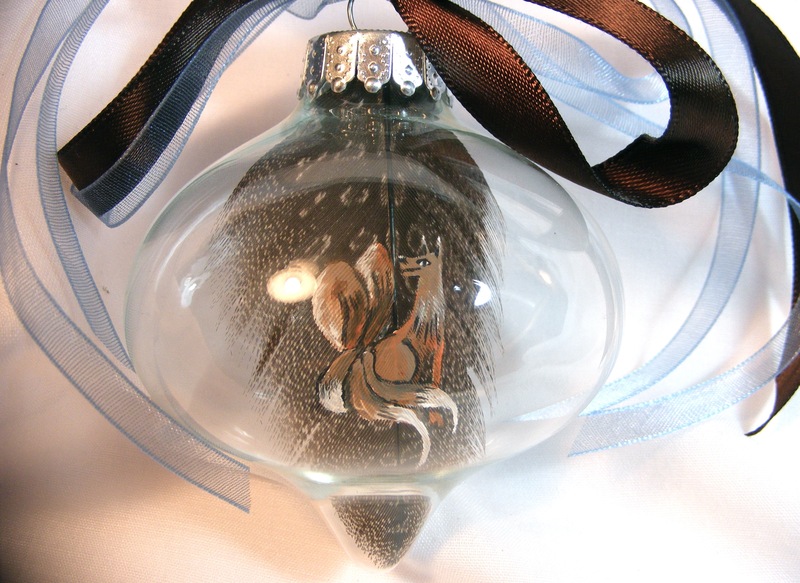 Acrylic on guineafowl feather in glass ornament with ribbon. Smoked Chicken. 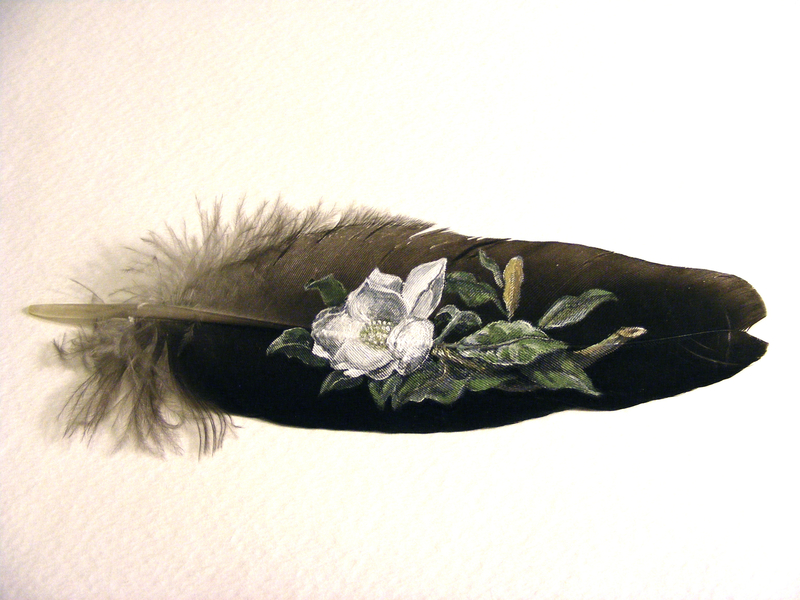 Acrylic on domestic turkey feather. Mississippi Magnolia. Acrylic on peacock wing feather. 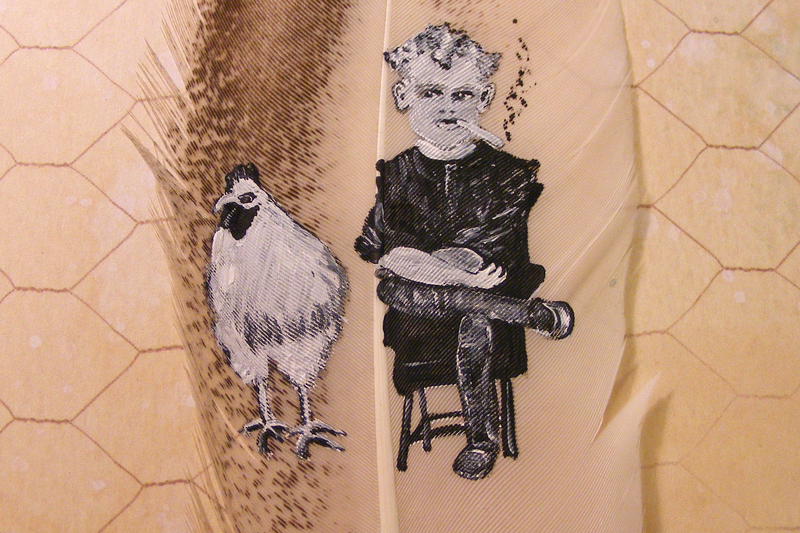 I paint on feathers because I like how the shape, size, and specific demands of feathers challenges me creatively, focusing my attention on detailed, mindful, miniature work. Like watercolor, there is little room for error. Once my brush touches the feather, it cannot be erased. My painted feathers are displayed behind glass, either inside glass ornaments or mounted in shadowboxes that I create by refinishing and repurposing picture frames. You will regularly find parrot, peacock, guinea fowl, and turkey feathers in my work. Most of the feathers come from local pet owners and family farms that raise free-range fowl specifically for feathers that the birds have naturally dropped. I enjoy personally meeting the birds that provide the canvases for my acrylic paint. Living and working in Ridgeland, Mississippi, I have been a member of the Craftsmen’s Guild of Mississippi since the summer of 2012.